It seems simple enough… and yet this is something that many college students still struggle with. When you get to college, chances are that you will have to take an English course in which you are required to write academic essays that involve a proper thesis statement. Not to mention you’ll have prompts on your SATs, ACTs, and many of the scholarships you apply for. Even though the thesis statement is one sentence communicating the main idea and argument to the reader, there are rules to follow and common errors to avoid when crafting a strong thesis statement. So here’s how to write a good thesis statement. I know what you’re thinking… this seems obvious, doesn’t it? Have you ever started telling a story to make a point, and gotten caught up telling 2 or 3 other stories in the process… only to realize that you never ended up making the first point? The same thing can happen in an essay. You want to make sure that you clearly address the question being asked. See the difference between the 2 answers? 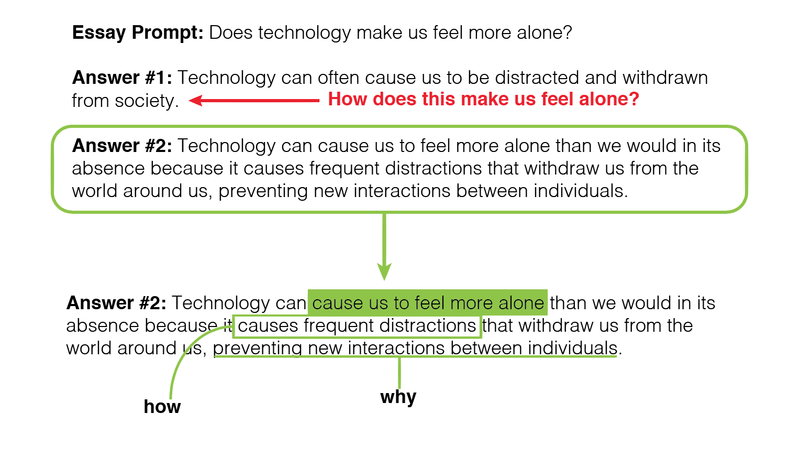 While stating that technology can cause us to be withdrawn may IMPLY that it causes us to feel more alone, it doesn’t necessarily answer the question of how, or why. A good thesis statement will provide a miniature outline for how the body paragraph of the essay will go. The best thesis statements will provide readers with a good idea of what to expect within the following text. A well-constructed thesis serves as a lighthouse for your readers, offering them a guiding light in the stormy sea of claims and evidence that make up your argumentative essay. It will also help keep you, the writer, from getting lost in a convoluted and directionless argument. One of the key characteristics of a good thesis statement, or any thesis statement really, is that it makes an argument. In the example above, the first sentence is far too open-ended. It also does not take a stance. It is hard for anyone to disagree with the idea that an engineering major has never been found difficult by anyone, ever. In contrast, the second sentence gives very clear reasons as to why it engineering is perceived to be a difficult major. It is specific, and it takes a stance. 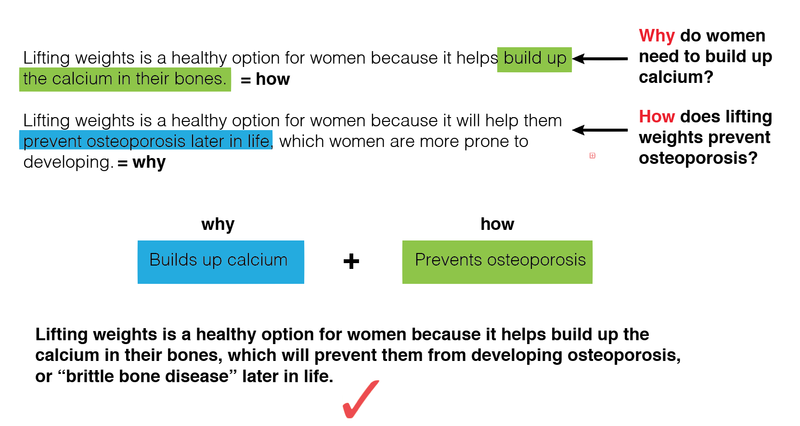 Notice how the example in the first step labels different parts of the thesis statement as “How” and “Why”. These are the two questions you want to pinpoint in your thesis statement. When you are writing your thesis statement, make sure to use points that you can support with strong facts and references. It will save you time to think about these things while you are writing your thesis, so that the rest of your essay goes smoothly! Also, Kibin offers some great examples of thesis statements for you to reference. I bet you didn’t realize how much went into writing a good thesis statement! If you haven’t encountered them in high school, thesis statements are something you will definitely run into when you are asked to write academic papers in college. Now you can be prepared to tackle your writing assignments head on. Have you written a thesis statement before? Am I missing any important tips? Let us know in the comments below! Loved this post! It was really interesting to read especially since I too had Dissertation Examples in the past that left me with ugly scars. Come over our site so I could share with you some information on how I got Dissertation Examples.